Kulas Maids Inc. has been providing home cleaning services for the Chicago North Shore Suburbs for over 35 years. 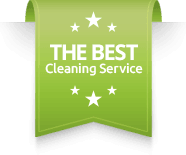 For your convenience, we clean homes, apartments, and offices. You can expect a crew of 4 professionally trained maids cleaning your home quickly and efficiently at an affordable price. Our maids clean homes with eco-friendly cleaning products and use vacuums equipped with HEPA filters. Call Kulas Maids today to get a free, no obligation estimate! We take great pride in our work and we honor our 100% satisfaction guarantee—if you are every unhappy with an area that we have cleaned, please call our office within 24 hours after the scheduled appointment and we will gladly return to your home to reclean it for you.